Stitch & Zip™ Preassembled Coin/Credit Card cases are available in several designs. 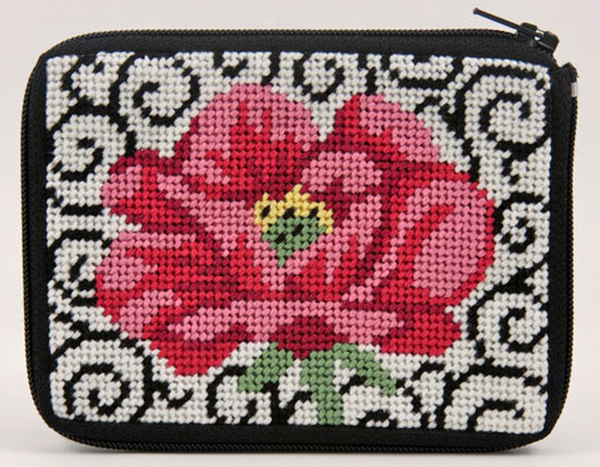 These unique needlepoint kits offer many different uses such as; coin purse, credit card or business card cases, golf tee holders, etc. The uses are limitless. Adorn your kit with beads, gemstones, buttons, and hooks to use in anyway you can think of. Alice Peterson Stitch & Zip Needlepoint kits come preassembled. Includes 14 count cotton mesh canvas, nylon zipper, fabric back, 100% cotton threads, needle & easy to follow instructions. No finishing required!! !